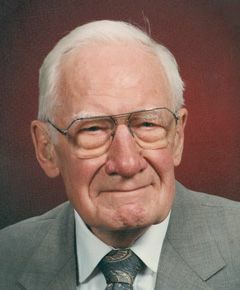 Benjamin Pomeroy received his veterinary degree from Iowa State University (1933), MS from Cornell (1934) and PhD from the University of Minnesota (1944). He started his professional career at the University of Minnesota, St Paul in 1934 and remained there until his retirement in 1981. During these 47 years, he served as Diagnostician, Instructor, Assistant Professor, Associate Professor, Professor, Director of Graduate Studies, Head of the Department, Associate Dean and finally Acting Dean. Ben became Professor Emeritus in 1981. He distinguished himself as a teacher, researcher and administrator and made numerous meritorious contributions to poultry health. In addition to mentoring over 65 graduate students, many of whom served avian medicine with distinction, Ben’s research laid the foundation for the eradication or control of a number of common poultry diseases. These included those caused by Salmonella typhimurium, S. arizona, S. synovia, Mycoplasma gallisepticum, M. meleagridis, avian influenza and coronavirus. Ben has been honoured in many ways for his scientific contributions and for his leadership in creating partnerships between the poultry industry and the state and federal regulators. He received the Siehl Prize for Excellence in Agriculture in 1999 and amassed over 30 distinguished awards and recognitions over the years. He was one of the founding members of the American Association of Avian Pathologists and became, in 1958-59, its first elected president. His life-long support of this association and of the World Veterinary Poultry Association made him a widely respected avian scientist, who was sought after as a speaker nationally and internationally and as a member of important committees. Ben, through his life’s work, elevated the stature of avian medicine in the world. Ben loved his rose garden and was always ready to share the joke of the day with colleagues. He regularly attended the home games of the Minnesota Twins and Gopher football and hockey games. Following his retirement, he was seen almost every day at the State Government building in St Paul rubbing shoulders with politicians and tirelessly lobbying for funds to promote agriculture and poultry research. Predeceased by his wife, Margaret, Ben left behind 4 children, 9 grandchildren and 12 great-grandchildren. WVPA thanks Jagdev Sharma and Kakambi Nagaraja for compiling this profile.